​Dr. Ryan Simonak joined Fossil Creek Family Medical Center in practice the summer of 2015. He is very excited to join his father in practice & strives to carry on the provision of high quality patient care. His passion for learning & playing football carried him to Rice University in Houston, Texas, where he earned a biochemistry BS and a history BA, while earning a starting position as a wide receiver & on special teams. He earned his medical degree from the Texas College of Osteopathic Medicine in Fort Worth, Texas, and then completed residency in family medicine at Trident Health Center/Medical University of South Carolina in Charleston, South Carolina. 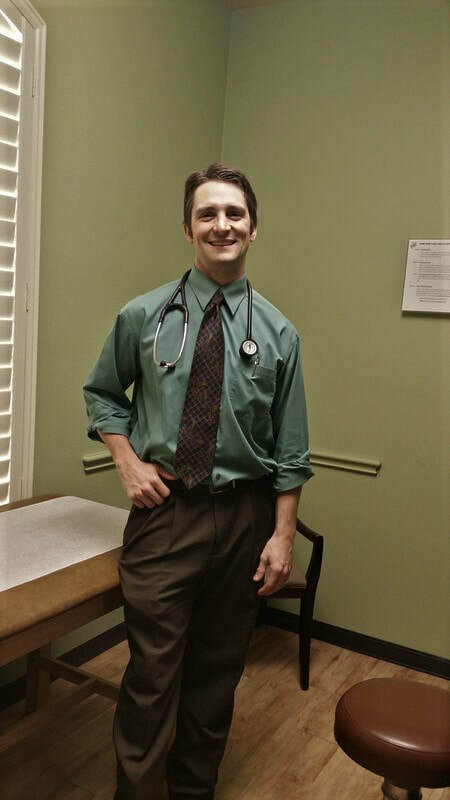 He remained in Charleston for 3 years working at Doctors Care, an urgent care/family medicine clinic. Dr. Simonak is honored to be involved in his patient's health and aims to positively impact his patients' lives. He enjoys time with family & friends, hunting, fishing, biking, playing guitar, & reading. He & his wife, Ashley, are the proud parents to their son, Luke, and daughter, Madelyn.